Even though curry is generally categorized as an Indian dish these days, the earliest known recipe for meat in spicy sauce with bread was discovered near Babylon in Mesopotamia, on a tablet printed in cuneiform text. This was way back in 1700 BC, and the dish was probably used as an offering to the god Marduk. 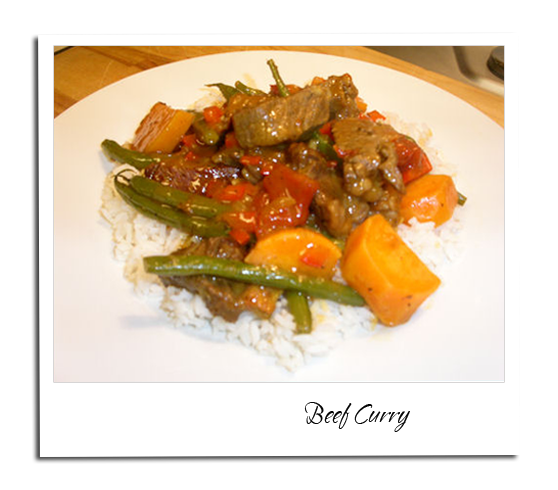 There is no standardized list of ingredients which go into the making of curry, as they vary according to each cook’s taste buds, and also depending on the type of meat or vegetables being cooked. Curry powder usually consists of turmeric, cumin seeds, coriander seeds, mustard seeds, salt, five spice powder (which is made of cardamom, cinnamon, black pepper, bay leaf and cumin) and red chilli powder. Start with cooking the rice first. Put 1-1/2 cup of water in the pot then add the rice. Wait till it boils, add 1 cinnamon stick and 3 cloves, then put the rice on simmer and cook for 20 minutes. Season the cutup beef with pepper and salt. Brown in 2 tbsp oil. 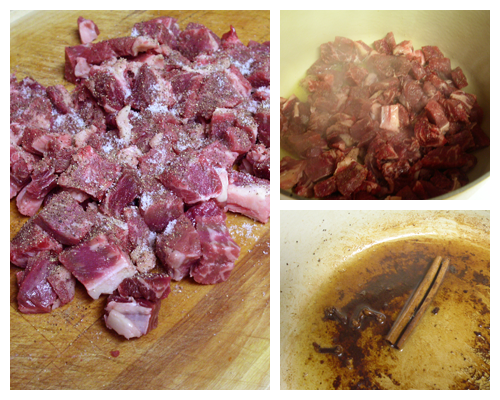 Take the beef out of the pot and add the remaining 2 tbsp oil, cinnamon stick and 5 whole cloves. When the cinnamon stick starts to unroll take it out and discard. Saute the onion and bay leaf. 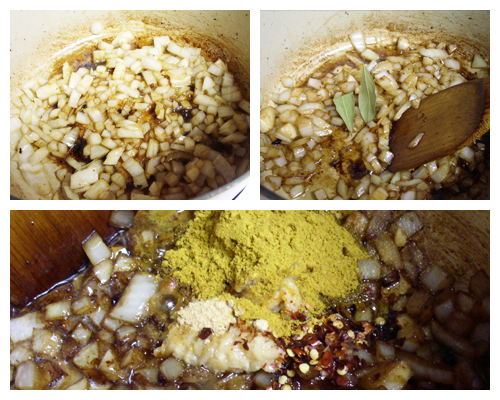 Then add the ginger, curry powder and the pepper flakes. 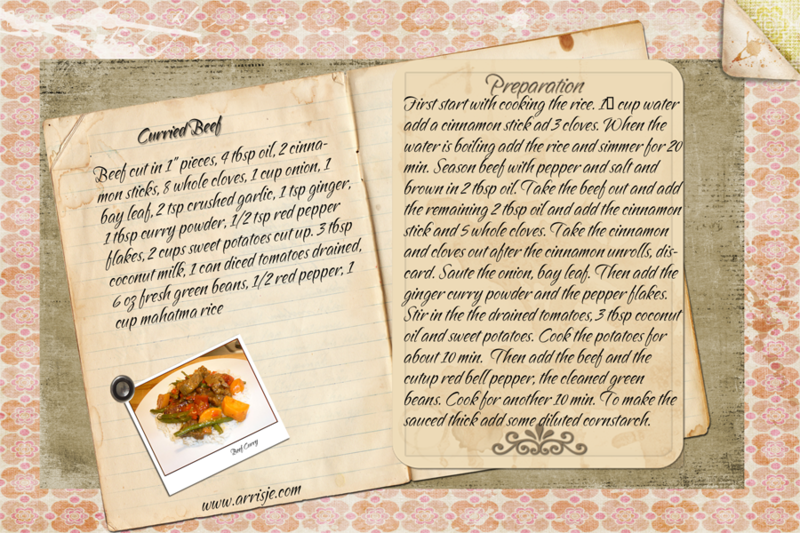 Stir in the the drained tomatoes, 3 tbsp coconut milk and the cubed sweet potatoes. Cook the potatoes for about 10 min. 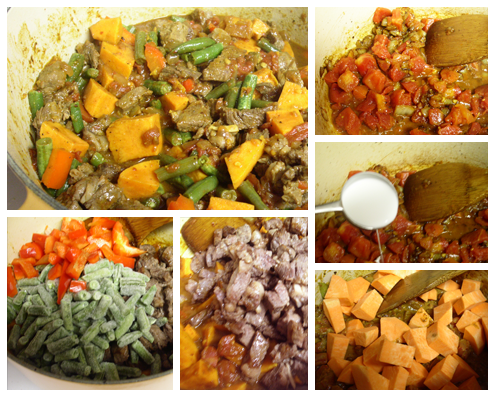 Then add the beef and the cutup red bell pepper and the green beans. Cook for another 10 min. To make the sauce thick add some diluted cornstarch. Serve over the cooked rice.